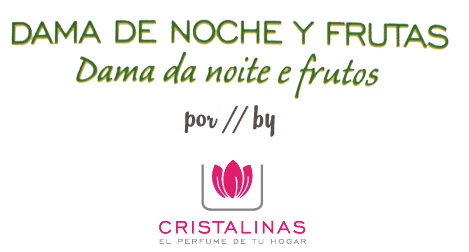 Esta fragancia posee un aroma citrico, limón España, muy fresco, sobre un cuerpo floral con notas frutales que dan paso a un fondo almizclado. 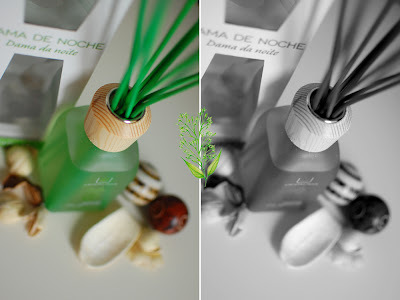 El motivo de su curioso nombre se debe a que durante las noches de verano desprende un característico y apreciado perfume, sacando así a relucir sus mejores galas. This fragrance possesses a citric aroma, Spanish lemon, very fresh, over a floral body wih fruity notes which give way to a musky ground. The reason behind its curious name is due to the fact that, during the summer nights, it releases a characteristic and pleasant perfume, bringing out its best finery. que equilibra los estados emocionales, nos ayuda a organizar los pensamientos y a reducir la ansiedad. Es de intensidad media, por lo que es recomendable que si va a ser usado en ambientes de poco espacio le sean retiradas algunas de las cañas, evitando así saturar el ambiente, y aprovechar mejor sus beneficios. De igual forma es siempre recomendable voltear las cañas al menos una vez a la semana y no exponer el envase a la luz solar. 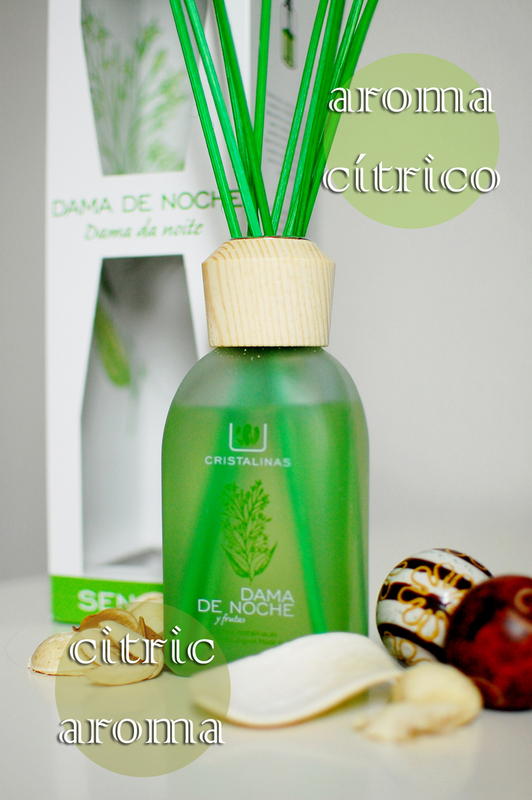 It is recommended for use in the bedroom as well as the bathroom, because it is a sensual fragrance that brings equilibrium to the emotional state, helps us organize our thoughts and to reduce anxiety. It is of medium intensity, which is why it is recommended that, if you plan on using it in rooms of small space, that a number of reeds are taken out, so as to not oversaturate the space, and take advantage of its benefits. Similarly, it is always recommended to turn the reeds at least once a week and not to expose the bottle to the sunlight. Menuda pinta Magaly...!lastima que no se pueda oler!. Siempre he pensado que el olor es parte de decoración de una casa.